How do you know if someone is a vegan? They will tell you right away. I found that joke pretty good and not so far from the truth. Being vegan is a lifestyle and people with that lifestyle often want to spread their good and important message. Just for the record; I am not vegan. I am not even a vegetarian, or not even pescatarian (fish eating vegetarian). I eat meat. However, I try to eat as little of it as possible and estimate that I am 95 % pescatarian. The main reason for not going 100 % pescatarian is basically the social implications. I do not want to be the one taking with me my own food when friends invite us over for dinner or make a big fuzz when eating out with other where the menu is set. Also, I believe it is possible to produce ethically sound meat, which in my eyes are the most important issue of being a meat eater. However, probably more than 99 % of the meat we are served are produced in unethical ways, regarding animal welfare. Producing meat takes also huge resources regarding crop, water and CO2 pollution. Health is also another reason many say we should cut down the meat, but personally, I believe you can be both a meat eater or vegan and be equally healthy. So we got plenty of reasons to reduce our consumption of meat. How will that affect the performance of an athlete? Would it be able to increase or even maintain muscle mass? There are plenty of top world performing triathletes going vegan, or vegan-ish (like me with very little meat in the food). Former world champion Patrick Lange, Jan Frodeno, Hillary Biscay and Laura Philip are some. Chrissie Wellington was also a vegetarian for many years. 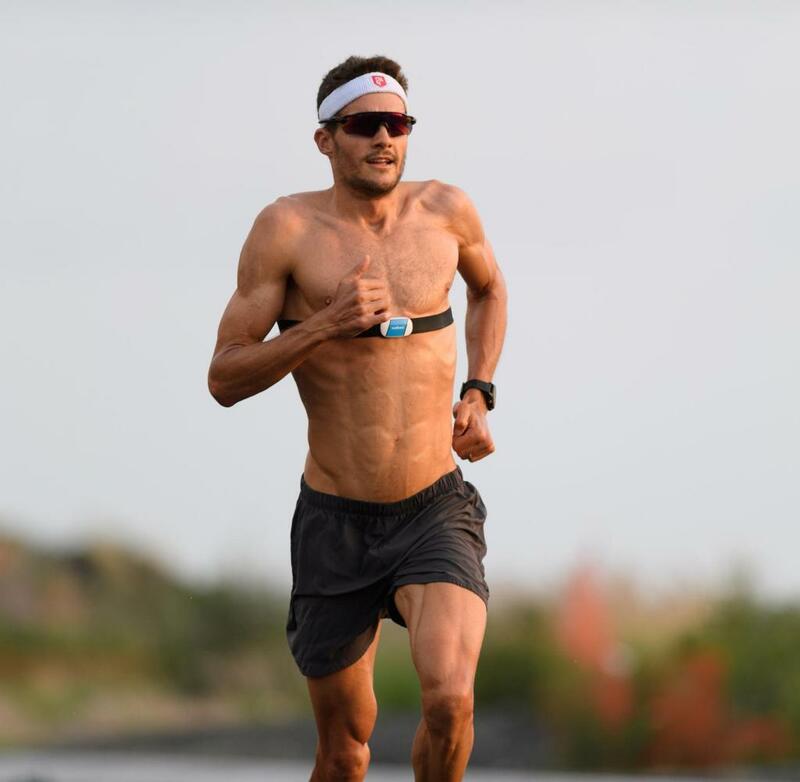 In addition, many other world-class endurance athletes have gone vegan like Ultrarunner Scott Jurek (and many other ultra-endurance runners I don’t recognize the name of). A world-class performing triathlete who don’t eat meat does not prove anything. Honestly, both Patrick Lange and Jan Frodeno looks like my impression of a vegetarian with their tall and super skinny build. While Patrick has been vegetarian for 8 years, Jan went vegetarian after his second win at Ironman Hawaii 2016, so he is fairly new to the «game», and it is a proof that it increases performance. The win at IM 70.3 World Championship was pretty convincing, but then he, unfortunately, got a stress fracture in his hip and not able to compete in Kona in a few weeks. It does therefore not prove that being a vegetarian increase your performance, nor does it prove that you get low bone density and stress fractures. What it does prove is that being on a vegan diet does not hinder world-class performance in endurance sport. Jan Frodeno is a pure speed machine with his strong but lean and slim body. «That is totally possible on a vegan diet, but to build real muscles you need real meat!», at least that is what many people think. 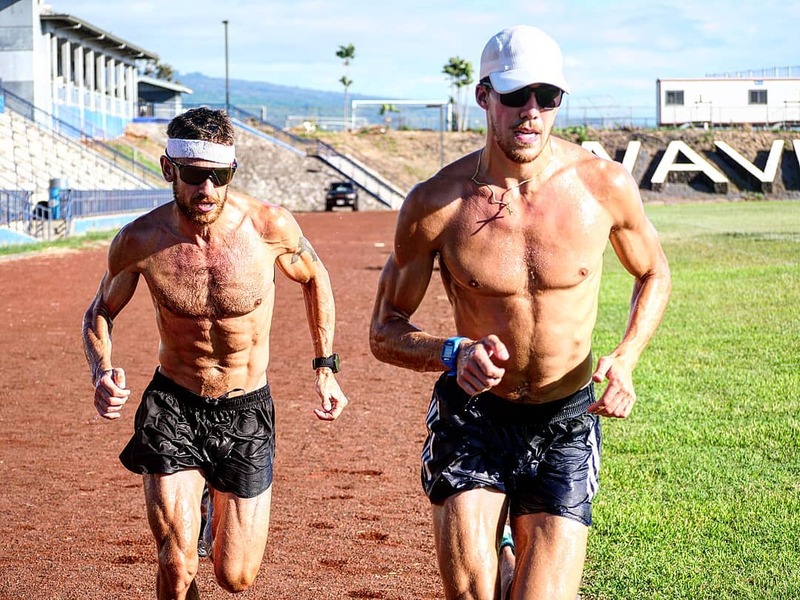 Another triathlete who went vegan-ish (not exactly sure how he defines his diet) is one of my favourite triathletes Lionel Sanders, running on the left. He lost a lot of body fat and got leaner and meaner than ever. He also got a borderline eating disorder and hit the wall at around 140km on the bike leg at Ironman Mont-Tremblant after according to himself was caused too little carbs before the race due to not wanting to gain weight before the race. I am certain he will nail his new diet and perform better than ever, but there is always a risk when changing diet. After listening to a Rich Roll podcast of the fascinating story of John McAvoy, I heard an even more interesting story (from a diet perspective) of the bodybuilder Nimai Delgado. From the podcast listeners, he sounds like a very sweet and gentle guy with an unusual childhood born into an alternative family who was vegetarians. He has never eaten meat in his life and went from vegetarian to completely vegan in 2015. As a professional bodybuilder that is rather unique. As an engineer, he is methodic and analytical in his eating, training and recovery. He eat real food, has a protein intake in line what the body can absorb (1,8g per kg lean body mass each day) and train only 45 – 60 minutes daily. Done focused and correct, that is enough to be super strong and super big. I recommend listening to the podcast – and other podcasts with Rich Roll as well, another vegan triathlete. At least it did broaden my perspective. Nimai Delgado – the vegan pro bodybuilder. While not being very fascinating about bodybuilding or weightlifting I do find Nimai interesting and inspiring. Going against the «truth» and showing how good you can be as a bodybuildet with a well planned vegan diet and training. Should you go you completely vegan? I am certain that you can go vegan without reducing muscle growth, recovery, performance, general health or well being. There is no reason you need to eat meat, except your own cultural and personal preferences. I do not believe being a strong advocate for the vegan revolution badging all meat eaters as ruthless killers who toast our planet with all the CO2-emission. I believe in spreading information that eating more vegetarian food in our daily diet is both healthy, tasty and don’t hinder performance. Not treating animal unethically and reducing the carbon emission are also great effects of this. You can start small, with a vegetarian meal each week and build from there. It does not need to be an all or nothing question. A great source of vegan recipes can be found online, but I love reading recipes in book-format and got the book of another Rich Roll podcast interviews, Stephen and David Flynn, aka The Happy Pear. I bought The World of the Happy Pear and have really enjoyed the meals we made from this book. 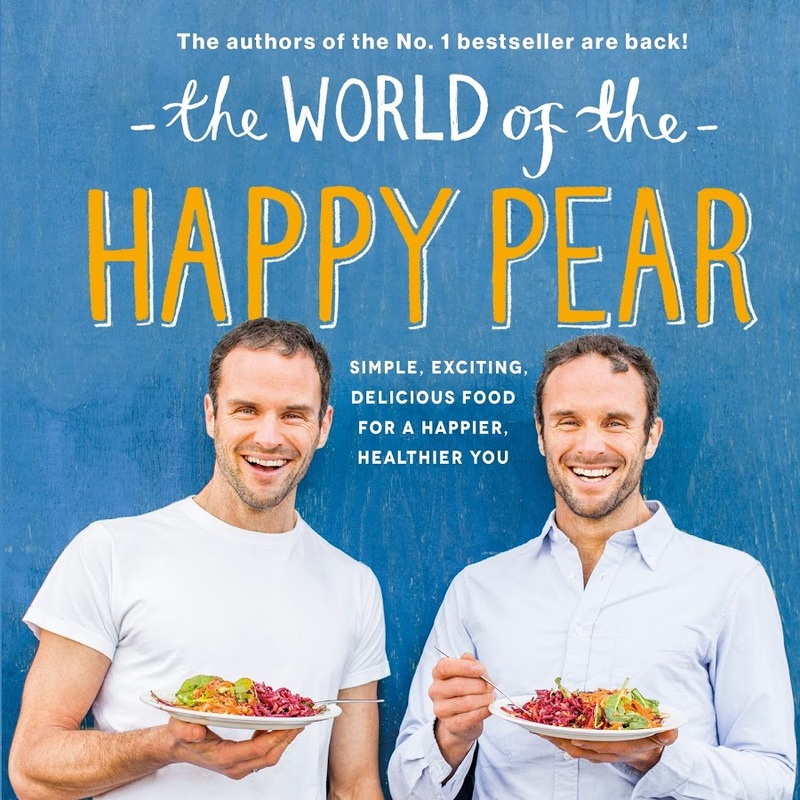 The Happy Pear – the happiest vegan twins in the world with great recipes and great life philosophy. Great article, although my view is somewhat different. We don’t know of any tribes/“natural” people who have prospered on a no-meat diet. That makes it unlikely that this is an optimal diet. I also believe that L Sanders when full veg, but as it made him weak, he modified it? That tribes have not gone vegan is rather understandable due to energy density and food availability. What is ideal regarding health/performance when we can choose what we want is another question. In my mind what have worked regarding survival and reproduction does not prove that it is or is not the «optimal» diet, a term I do not exist. Your post really caught my eye because my coach recently planted a thought in my head that has me feeling somewhat worried. It’s funny that you mention Rich Roll podcasts, because that’s exactly what turned me on to endurance sports and mindful eating- I’m a huge fan. I went from big meat eater to vegetarian to vegan in a 3 year period. I’ve also just completed my third season of ironman training. I have been sick a lot more the last years, but I was not at all thinking that it was because of my vegan lifestyle. I assumed the higher training stress influenced that. I know you’re not vegan. But do what do you think about my coach’s comments? Do you know any athletes that stopped being vegan because of health problems they had? Sorry for the long post. Just looking for a second opinion, and Google is not my friend for a hot topic like this.